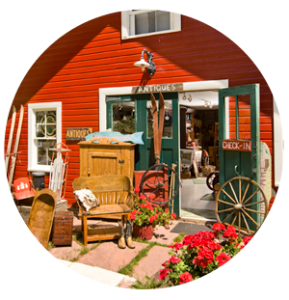 Located in both the Red House and the Old Barn, our Redstone antique shop is full of genuine antiques, leathers, lamps, Navaho jewelry, work by local artisans and other smaller gift items..
A great place to find the perfect hand painted corner cupboard, hand woven basket or cow hide rug. Outfit your western home, pick up a small gift like a jar of local honey! Inventory is constantly being added, so stop by and see the “new” goods!